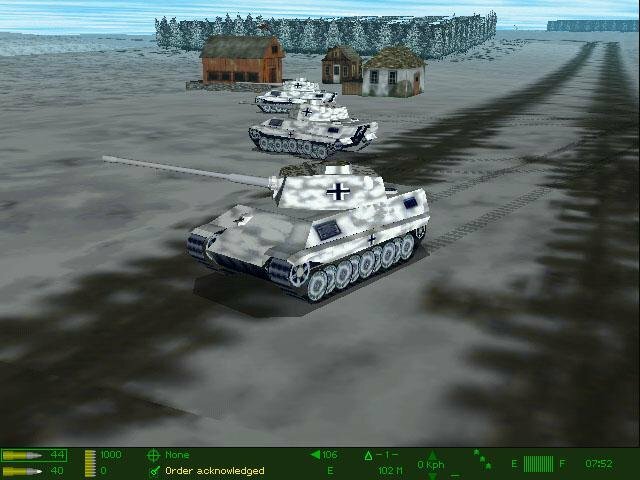 From the Panzer IVs and daunting Tigers to Russia’s formidable T-34s and the monstrously peculiar Churchill tanks, Panzer Commander boasts an impressive array of vehicles, letting you drive and shoot them as part of a squad during the Second World War. 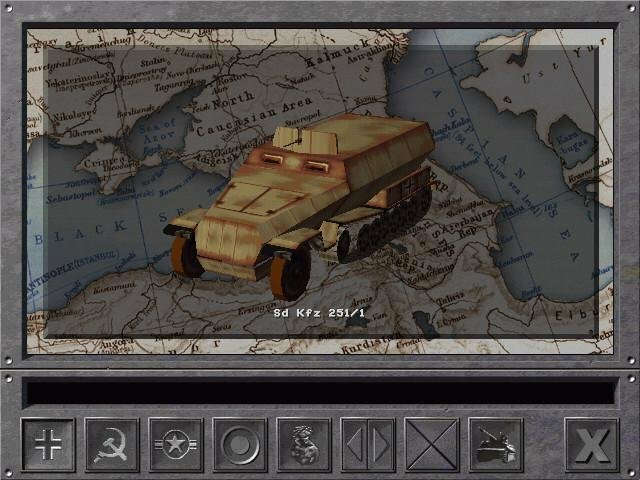 Unfortunately, it seems that so much emphasis was put on these lovingly-crafted tanks that the rest of the battlefield was neglected. 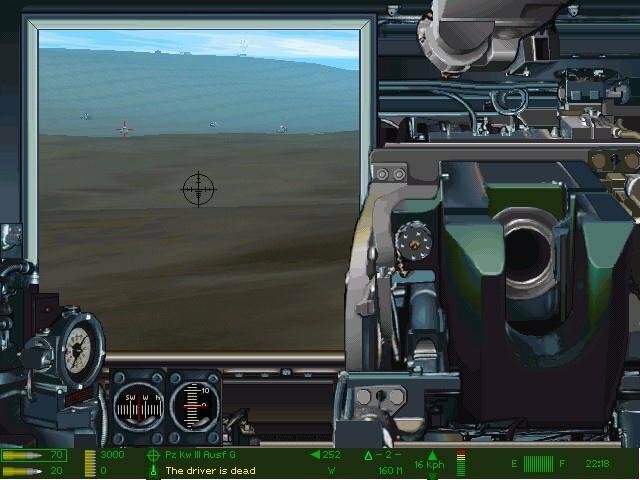 The battlegrounds are pretty sterile, and all too often the only relevant actors within a scenario are the tanks themselves – artillery is but a volley of almost harmless firecrackers that explode around you in a scripted fashion, while aircraft, which should strike terror into the heart of any tank commander, offer a good aerial show but are overall equally harmless. Of infantrymen you don’t even have to worry about, since they are completely absent. 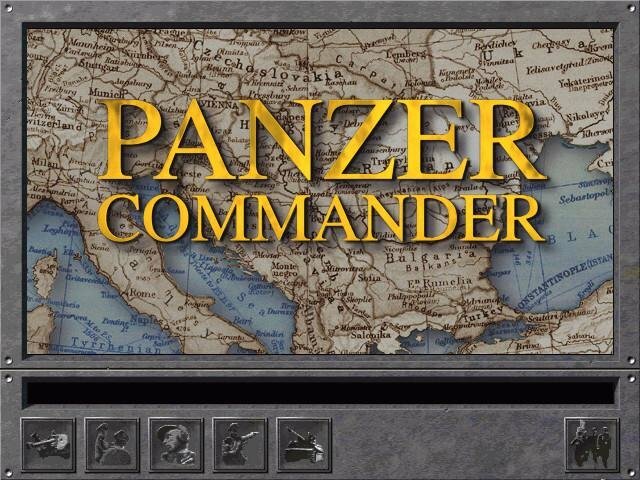 There’s no fear of surprise Panzerfaust attacks from the rear or snipers picking off your commander. There’s no reason to use HE shells on anything but sandbag emplacements. Unless you feel the need to bully helpless trucks, there’s no reason to man the coaxial machine gun. World War II represented the coming-of-age of combined arms tactics in the history of warfare, but you’d never guess it by playing in Panzer Commander’s armor-only arenas, where it looks like they gave a war but only a bunch of tanks cared to show up. 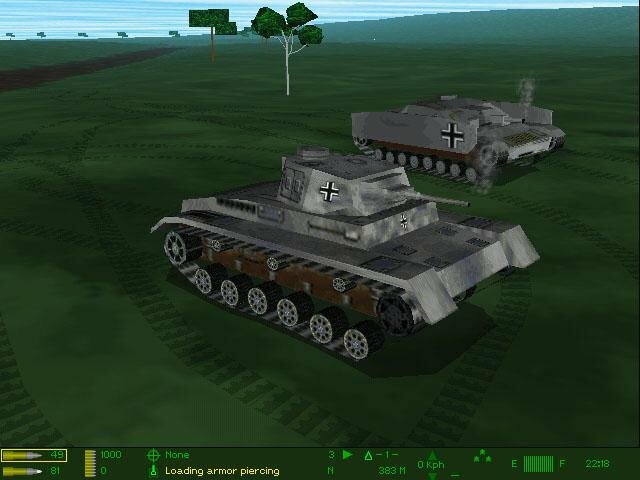 Since the game is basically a collection of tanks in a vacuum, the most important issue is how the tanks are modeled. 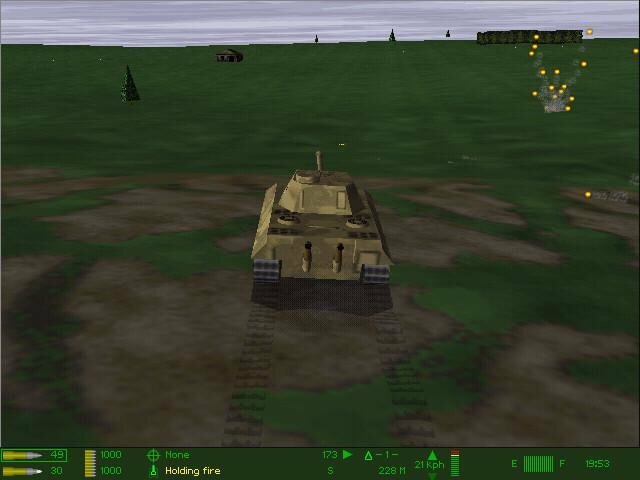 The physics of the tanks in motion are initially impressive, with the way recoil, suspension, and inertia are modeled. But when it gets down the important stuff, the parts that go boom, there’s something off-kilter. 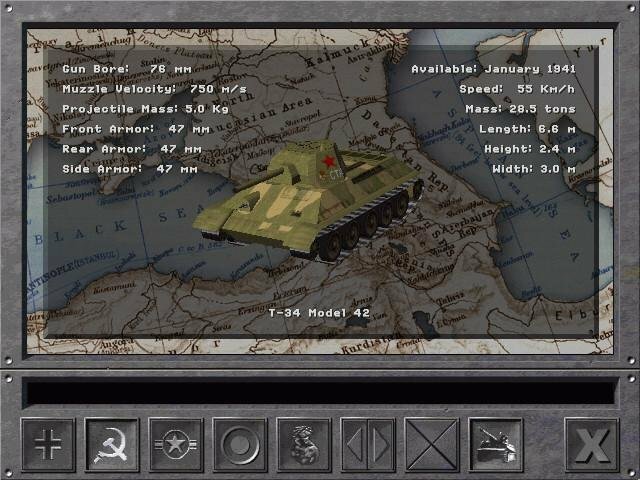 It seems like there were some sincere and partially successful attempts to model the relative effectiveness of different weapons against different armor. 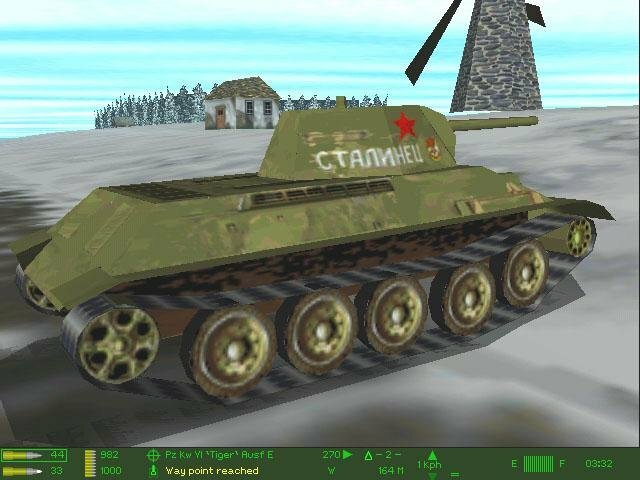 Penetration power is clearly figured, as you’ll see by plinking German shells off the sloping front armor of a T-34 or using the fearsome 88 to pick off tanks like fish in a barrel. 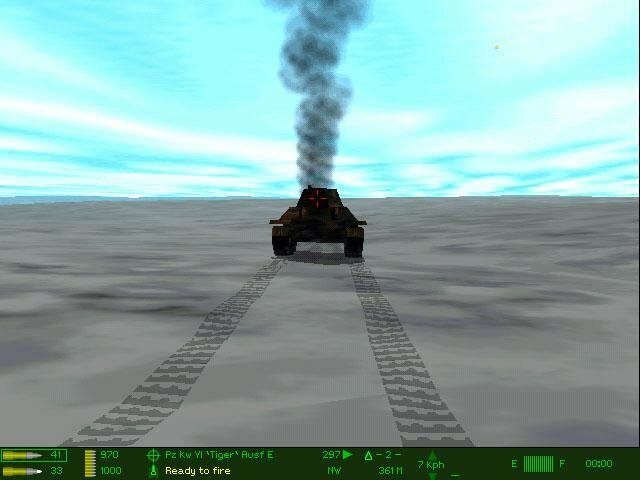 Although the manual makes it clear that firing while moving is a futile proposition, the computer gunners don’t seem to have a problem with it. If you want to take matters into your own hands, simply align two crosshairs to set range and then point the gun, which rarely seems to miss once you’ve lined it up. 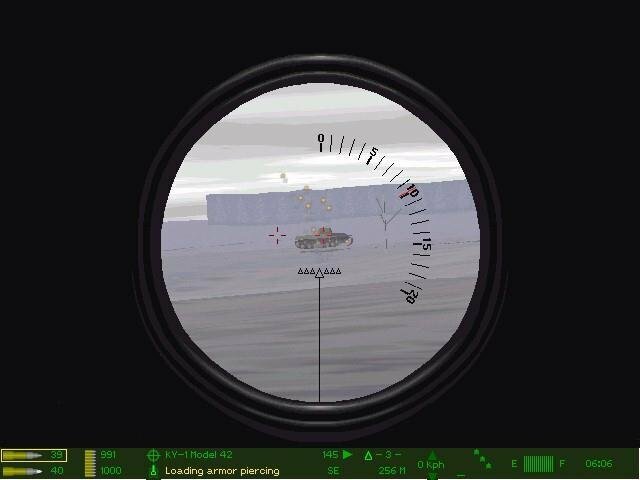 Important variations in targeting equipment are reduced to different reticle styles. By omitting some of the most important factors in who kills whom and how and why, little touches like turret traversal speeds, boresight elevation limits, and different trajectories for AP and HE shells are all but wasted. Although damage modeling is impressive at first glance (thrown treads, overheated engines, jammed turrets, and killed crew members are all included), on the whole it’s not quite right. If you use the scenario editor to run tests, you’ll run into all sorts of little anomalies. 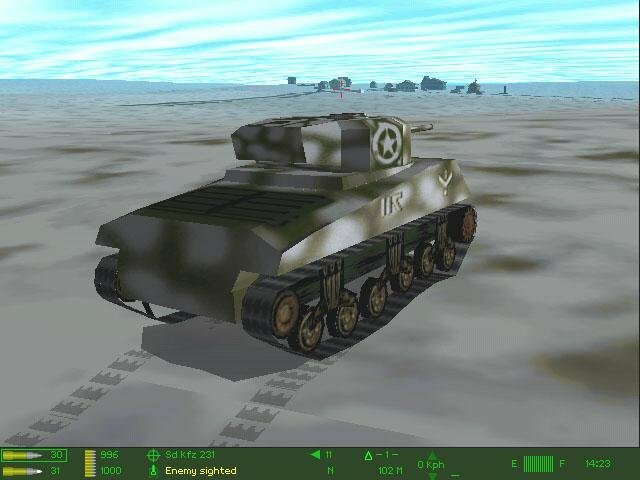 For instance, in one shoot-out, an American Sherman’s first shot would always damage a Tiger’s gun while the second shot would always jam the turret. Occasionally some of the war’s supposedly impervious tanks seem too vulnerable to smaller guns; “against-all-odds” kills are far too common while point-blank kills aren’t. Poor control over your platoon members, not to mention the friendly support elements that may be present in a mission, is another serious shortcoming, especially when you’re up against more formidable armor. One final rivet in the coffin is the AI, particularly the complete lack of pathfinding. Tanks have no regard for facing. If you can drive around behind a tank, it won’t bother to turn its thicker front armor to you. 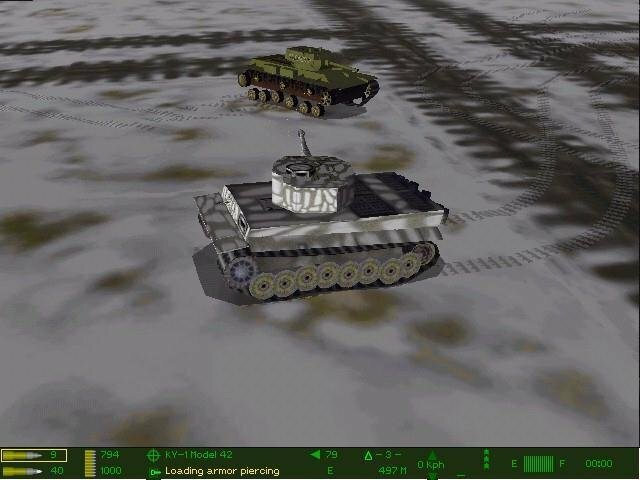 Weaker tanks confronted with a more powerful gun won’t close to killing range. It seems as if enemies have no AI aside from the waypoints hard-coded into the scenarios. Most aggravating of all is the way vehicles have no concept of going around obstacles. These and a host of many other less offensive bugs were encountered while playing the unpatched version. There exists a standalone 1.3 patch that allegedly remedies some of these issues and upgrades the AI as well. 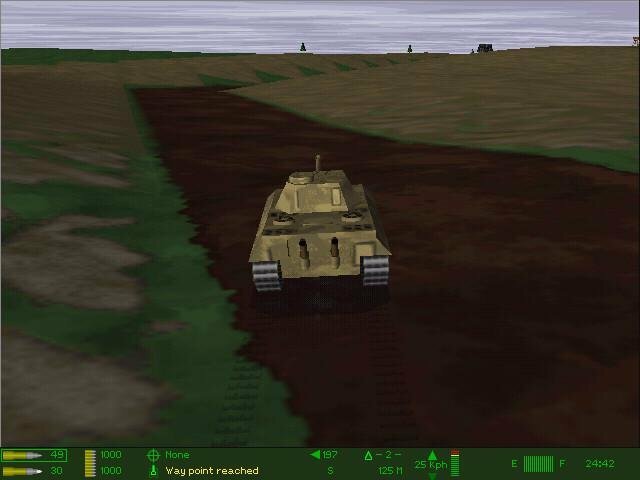 As it is, however, Panzer Commander manages to capture the thrill of commanding a tank platoon with moderate success, but is offset by only so-so environments and AI.